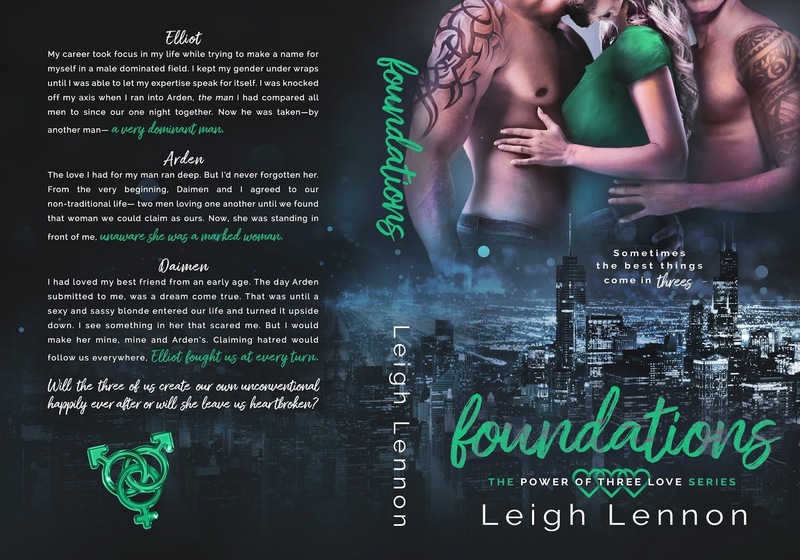 This was my first book by Leigh Lennon and it was a great read, I thoroughly enjoyed Elliot, Arden and Damien’s unconventional MMF story. It’s got a good story line with some unexpected twists and turns in the plot and also looks at how society views this type of relationship. Elliott is an architect working in a male dominated environment. Having such an unusual name means she can hide her gender and let her work do the talking. Arden and Damien are billionaires having worked their way up from nothing and are in a committed relationship with each other. When they want a new architect in their company and get Elliott they get far more than they bargained for. Arden and Elliott had a one night stand years ago, and Arden has been the man Elliott compared everyone with, and can’t believe they have met again nevermind she ends up working for him. Arden and Damien have been in a triad relationship before and Arden has always been looking for the one woman to add to their relationship and would love for Elliott to be it. Great characters, Arden is the humorous one, Damien is very much the dominating Alpha and Elliot is the female version of Damien, but together as a three they work wonderfully well. Its not without its ups and downs and takes a lot of work, building up trust and working things out. Told from different POV’s giving an insight into each character which certainly adds to the story line. Of course there are some steamy scenes in here. It was a great read and I enjoyed watching their relationship develop and grow, looking forward to reading more from this author. Recommended reading.